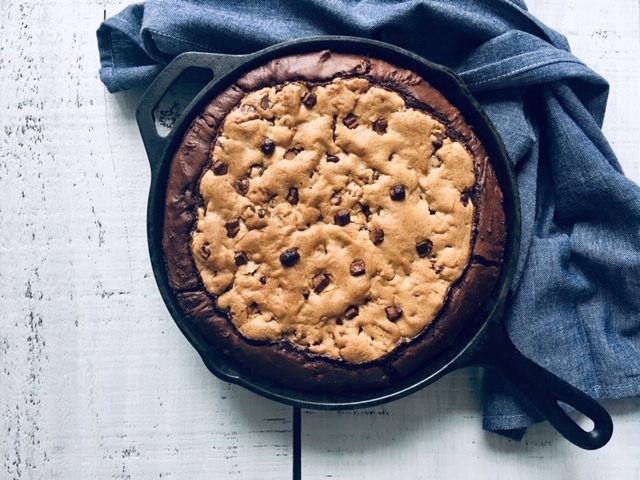 There’s all kinds of reasons to make this Skillet Brownie Cookie. Outside of the obvious fact that it’s a mashup of two of the greatest things you can do with flour and chocolate, it’s also a cure all for just about everything. If you’re a 12 year old girl and the mean girls are swarming like mosquitos, this is a fix. (Warning: For parent’s who don’t yet have tweens, some times the mean girl is the one you never expected!) If the report card was something you could basically frame, this is the reward. If the Winter doldrums have got you down, this is the pick-me-up. And if you still haven’t found a Valentine’s gesture that let’s your sweetheart know you love them to the moon and back about a trillion times, this is the gift. 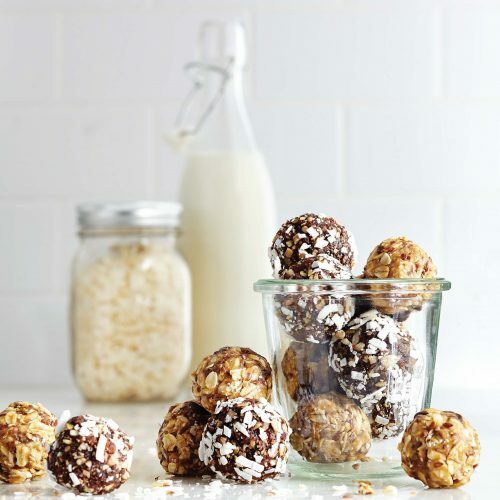 We talk frequently here on the blog about our dinner strategy called Half Homemade–when you spruce up a store bought, pre-made food item with some pantry staples creating an easy dinner. However, dinner isn’t the only meal that makes this strategy sing. We added a brownie box mix (select your favourite) to our skillet cookie dough to create dessert nirvana. (Note: If you’re using the cookie dough alone, reduce the cooking time to about 20 minutes.) I love this cookie dough because it yields a crispy outside but moist centre that has a density that can teeter between a blondie and a slightly under baked cookie. I made the decision to not use one of our own brownie recipes, not because they’re not fudge and yummy, but because I wanted less effort to yield way more goodness. Also, I’m just going to be honest, sometimes there is nothing better than brownies from a dang box. Whatever the reason you need to make this dessert, we hope it delivers the intended result of the widest smiles all around. Place rack in lower third of oven and preheat to 350. Grease a 10-inch cast-iron or ovenproof skillet; set aside. In a stand mixer or in a large bowl using a hand mixer, cream together butter and sugars. Beat in egg until combined, then egg yolk. Beat in vanilla extract. In a separate bowl, whisk together flour, salt, baking soda and clove. Combine with butter mixture and then stir in chocolate chips. Set aside. 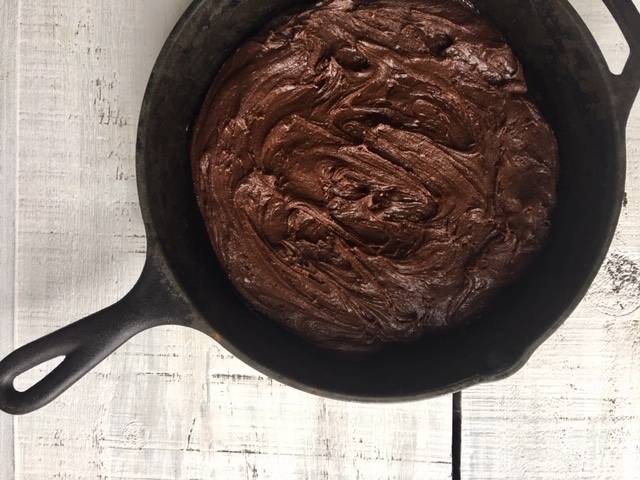 Scrape brownie mix into centre of prepared skillet, smooth out towards edges depositing more batter along the sides. Using your hands, scoop out your cookie mix and place it in the centre of the skillet. Pat it down in the centre leaving about a 1-inch border of brownie. Sprinkle cookie dough with chocolate shavings and lightly pat them it the dough. Bake until a toothpick inserted into the centre of the cookie/brownie combo comes out clean and the cookie/brownie is browned and puffed, about 30 minutes. Remove from the oven and let cool in the pan about 15 minutes. Serve and enjoy. Ice cream on top only makes it worse, I mean better. 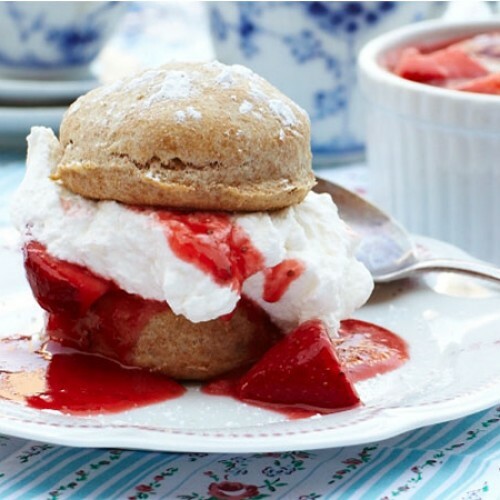 Long time read­ers of SPC know about my love/hate rela­tion­ship with dessert. Actu­ally a lit­tle hate would help me out. We all love it in my house and that’s the prob­lem.